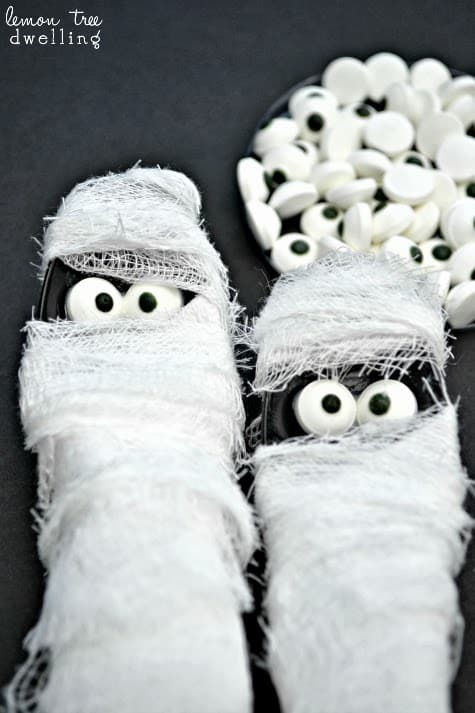 and are sure to add an extra dose of fun to your Halloween table! Good morning, everyone! 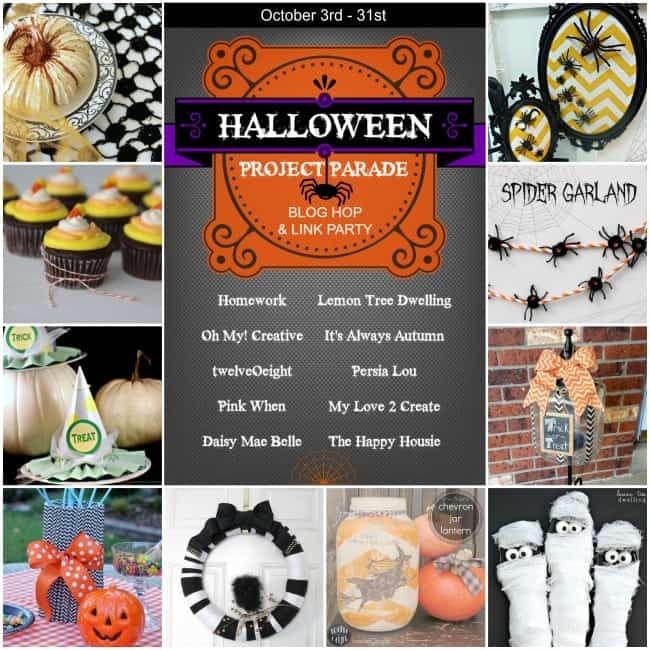 I’m so excited for today – not just because I get to share another fun Halloween project with you – but because I get to be part of this amazing Halloween Blog Hop with so many other talented bloggers! 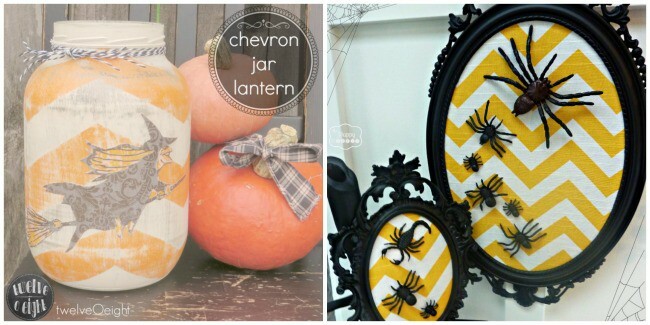 I hope you will stay to link up your latest Halloween projects below. I can’t wait to see what you’ve been working on! 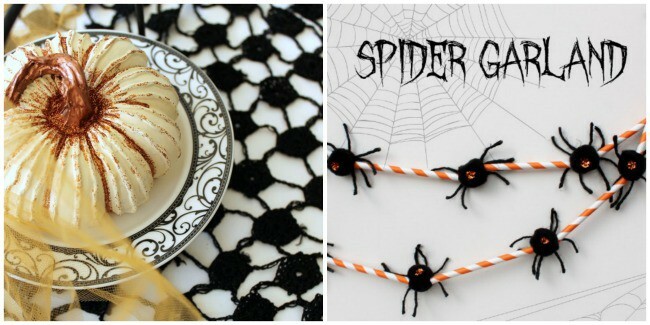 I’ve been busy creating fun and simple Halloween crafts, like the Spooky Spider Plates and Funny Pumpkin Pails I already shared with you, and I have one more craft for you today: these adorable Mummy-Wrapped Utensils! 1. Begin by stacking the silverware with the knife on the bottom and the spoon on top. 2. Place the silverware stack on top of the napkin, with one corner of the napkin at the tip of the knife and another corner directly below the base of the handle. 3. Fold the bottom corner of the napkin on top of the spoon handle, then fold the left side of the napkin on top of the silverware and roll until secure. 4. Starting at the bottom, re-wrap the utensils with strips of cheese cloth. When you get to the end of a strip, overlap the end with a new strip and continue wrapping. 5. Leave a small space for eyes; continue wrapping all the way to the top of the spoon. 6. 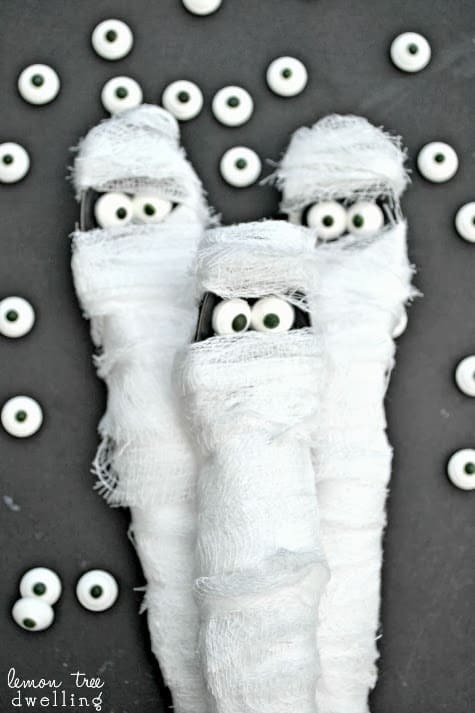 Use small dabs of icing or melted chocolate to secure eyes in place. Lay flat to dry. 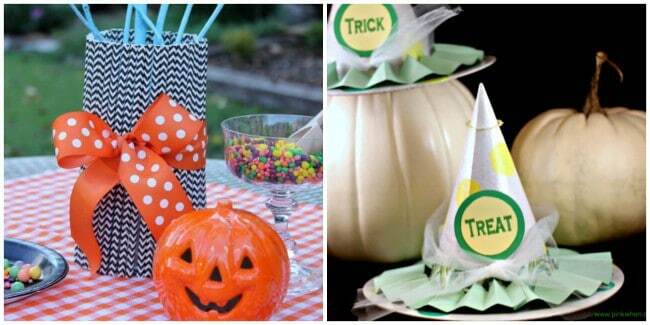 Let’s get hopping with these fabulous Halloween Projects below! Stop by and follow along with these creative projects and inspiring blogs! Show us what you have been creating by joining in the Halloween Link party below. We will be showing and sharing them on social media – so link up! 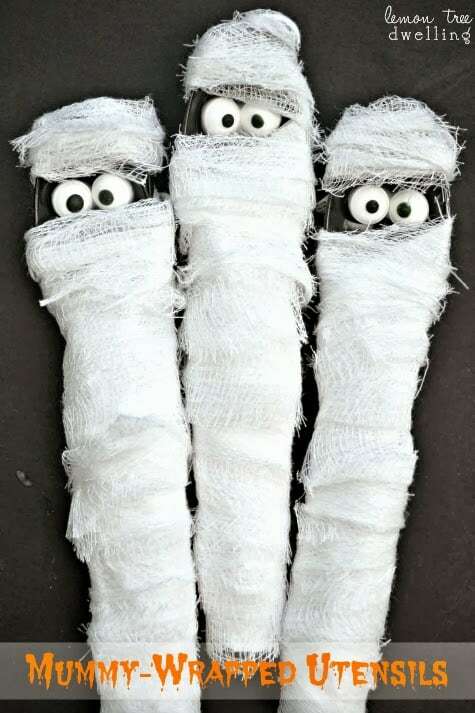 This mummy wrapped silverware is so cute. 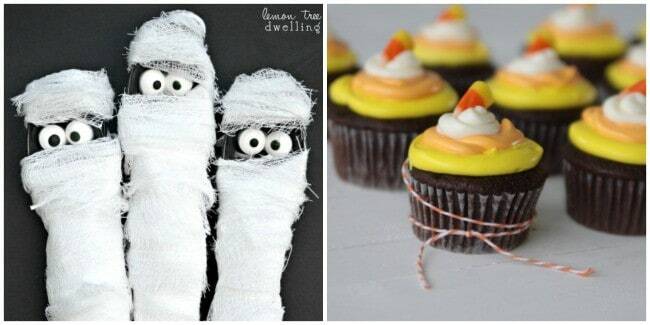 I might have to make have to make these for our annual Halloween pot luck. So cute! 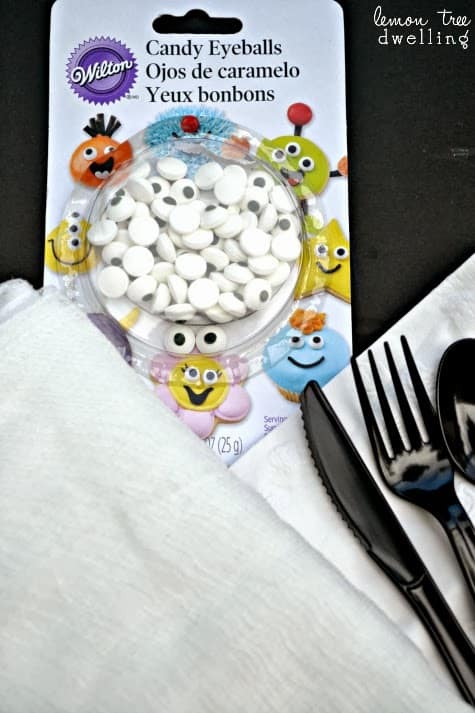 And I REALLY need to get some of these edible googly eyes! This is such a clever idea! My kids would love this for sure! So cute!! What a great Halloween project. I didn’t know they made edible eyes! Fun! This is beyond adorable – I love them and pinned them! Such an adorable idea! 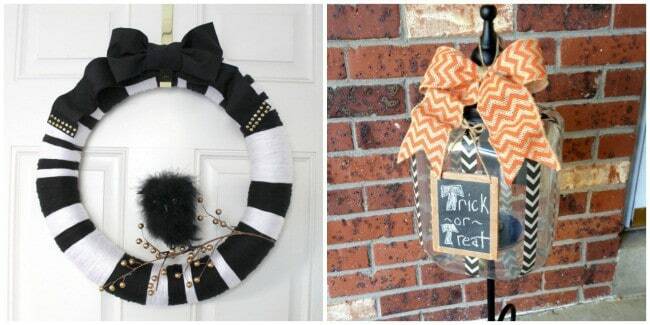 I want to throw a halloween party just so I can make these! Oh my gosh…these are too cute. Love the idea. Thanks so much for sharing at the Pinworthy Projects Party!